Scientists are diligently studying our immune systems to find what starts rheumatoid arthritis (RA). So how does RA start? To find out we need to begin by understanding a little about our immune system. Our immune system has evolved to be complicated because the immune system is constantly on the alert to protect the body from outside threats. The immune system’s adaptive mechanisms include disease-fighting T-cells and B-cells with “immunological memory” – this type of memory gives the cells the capacity to remember and thwart same type of attack in the future. In healthy people, B cells produce antibodies that circulate, seek out and destroy pathogens. Pathogens are infectious bacteria, viruses or harmful microorganisms in your body. The T-cells are a crucial line of defense against infection. These specialized white blood cells tailor the immune response to the invading pathogens. Different kinds of T-cells stimulate the immune system by identifying and attacking disease-causing microbes, unleashing a storm of defenders to repel the assault. As research breakthroughs continue to bring new hope for people with rheumatoid arthritis, scientists are looking deeper to understand how overproduction of certain specialized T-cells may fuel RA and other autoimmune diseases. 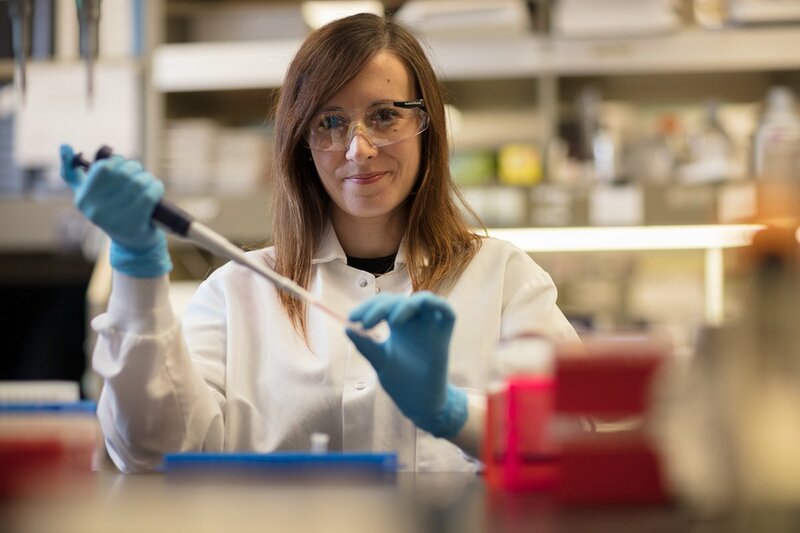 With funding from the Arthritis National Research Foundation, Michela Locci, PhD, is investigating the body’s adaptive immune response. Dr. Locci, who works at La Jolla Institute for Allergy and Immunology in Dr. Shane Crotty’s laboratory, is studying highly specialized cells called T follicular helper (Tfh) cells. Antibodies are strategic molecules, normally produced by our immune system to confer protection from infectious pathogens. When RA strikes, antibodies that are the body’s natural defense against infection and disease, instead turn on the body and attack self-tissue in the joints. For patients with RA this triggers painful disease flares of inflammation. As the autoantibodies accumulate in the joints they can amplify the swelling, stiffness and debilitating pain of RA. Could the excess production of the special Tfh helper cells be the answer to, how does RA start? Could blocking the generation of Tfh cells improve the clinical symptoms of RA? In Dr. Crotty’s lab, Dr. Locci developed a high-throughput screen of human recombinant molecules that identified a particular molecule, activin A, as an important player in the regulation of human Tfh cells. As a result, Dr. Locci is now investigating a possible association between activin A levels and the type of Tfh cells produced in people affected by RA. When normally protective antibodies disrupt the regulation of B-cells, the body releases a flood of inflammatory proteins. Dr. Locci relates that the grant from the Arthritis National Research Foundation arrived at a very critical moment in her scientific career as she transitioned to an independent career. In fact, Dr. Locci will now be setting up her own laboratory at the University of Pennsylvania in January 2018.
like that of Dr. Locci’s and make a donation today!